House Speaker Michael Madigan Thursday is Democrat Day at the Illinois State Fair and, as expected, they used the opportunity to slam Republican Gov. Bruce Rauner’s anti-union, pro-business Turnaround agenda that they say is preventing lawmakers from approving a statewide budget. At a brunch earlier in the day, House Speaker Michael Madigan said Democrats are in an “epic struggle” against Rauner. Senate President John Cullerton, speaking after Madigan, said he’s open to making compromises in order to pass a budget. “We are willing to work with Gov. Rauner but we don’t work for Gov. Rauner,” he said. But while Democrats said they stand united against Rauner’s political agenda, rifts appeared over who to support against Republican U.S. Sen. Mark Kirk in the 2016 election—U.S. Rep. Tammy Duckworth or former Chicago Urban League CEO and president Andrea Zopp. 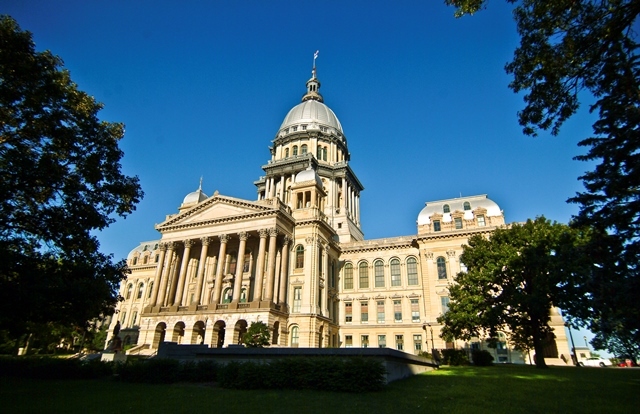 Chicago Tonight’s Amanda Vinicky joins us from the State Fair to talk about Senate Democrats, who seek to override the governor’s veto of a no-strike bill that limits his powers in union contract talks. The override heads to the House next week, where it needs all 71 Democrats to sign off. This comes as Gov. Rauner and AFSCME, the state's largest public-employee union, try to hammer out a new contract. It remains to be seen if the House will override the governor’s veto. The Senate also voted on Wednesday to approve funding for college grants for low-income students; 14 Republicans voted present. • Should Downstate, Suburban Schools Pay for Their Pensions?